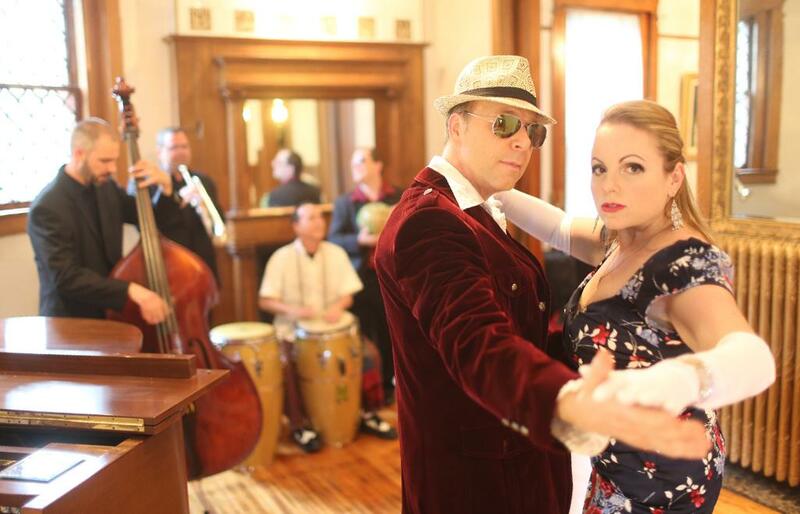 Johnson and Benoit in a photo from the cover of their album, "Algo Diferente" or "something different." Rico Wayne Johnson and Dove Benoit are a pair of Peorians bringing the sounds of Brazil, and other Latin American rhythms, to central Illinois. The Brazilionaires will kick off the GLT Summer Concert presented by CEFCU this Saturday June 11th in downtown Bloomington. A few months ago, the group stopped by the GLT studios with a bunch of great local jazz musicians to play some tunes from their new CD, and talked with Bruce Bergethon about spreading sambas and boleros across the Heartland. After 27 years with the vocal ensemble New York Voices, vocalist Kim Nazarian has finally released an album under her own name. On this edition of Jazz Next, Nazarian tells WGLT's Jon Norton that recording with family for her debut release was comforting, and about the joyful feeling she gets when singing with New York Voices.